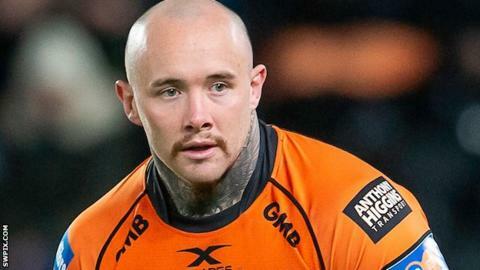 Castleford Tigers forward Nathan Massey has signed a new two-year contract, which will expire at the end of the 2021 season. The 29-year-old has been at Cas since the age of 15, making more than 200 appearances for the Tigers. Massey was part of the 2017 side which won the League Leaders' Shield in Super League and has started five games this term. "I'm almost like a piece of furniture now," said Massey. "I joined the club when I was 15 in 2005 and made my debut in 2007 so I've been here a long time, but it's nice to see the club going from strength to strength."